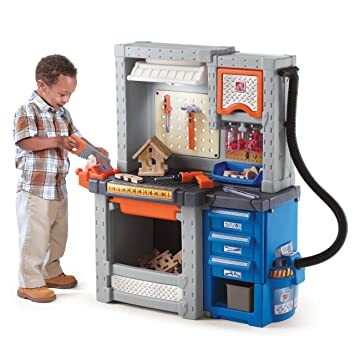 Toy Tool Set Workbench Kids Workshop Toolbench is on sale at amazon.com for $29.95 (Reg.$79) with free shipping. This can be a very nice Christmas gift for a boy. -Portable or Stand-up Toolbox ; Set size in inches: 16"x29"x14"
-Electronic drill, just like the real thing! Amazon highly rated Green Toys Tool Set now on sale for only $17.61 (regularly $27.99!) – which is the lowest price this tool set has been. Plus, this set ships FREE with Super Saver Shipping on a $25+ purchase OR get FREE 2-day Shipping (no minimum) with Amazon Prime (check out this post for more information on how to score a 30-day free trial of Amazon Prime). 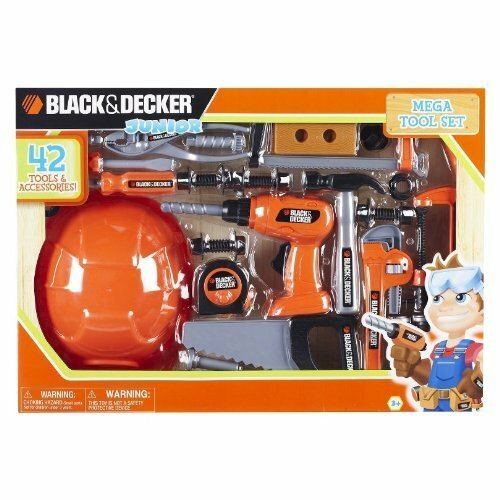 Amazon.com is offering up this Black and Decker Junior Mega Tool 42-Piece Set for just $10.39 – the lowest price for this highly-rated set! And get free shipping with a $35 order or free shipping with Amazon Prime. Fun Gift Idea! 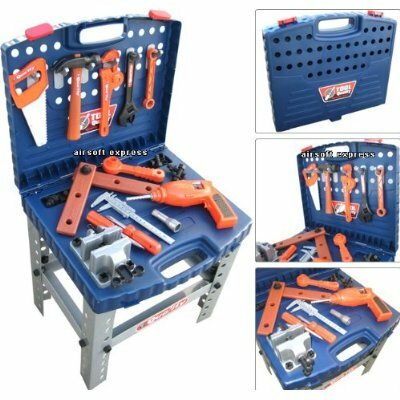 Amazon.com now you can get this very highly rated Step2 Real Projects Workshop and Tool Bench for only $45.99! As a price comparison, this set is going for over $70 on Kohl’s.com. Walmart.com now get this Tactix Kid’s Truck 10-Piece Tool Kit is just $9.97 (regularly $24.97)! As a comparison, this same tool set is priced at $24.97 on Jet.com. The set comes with a claw hammer, an adjustable wrench, long nose pliers, screwdrivers, a tape measure, and a plastic ruler. It makes a great first “real” tool set! Amazon now you can get this Step2 Deluxe Workshop for just $81.99 shipped (regularly $140)! 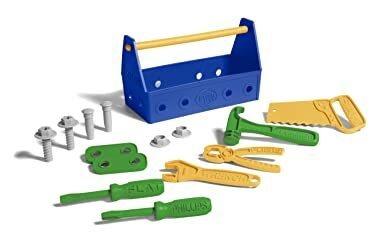 This 50-piece set includes an electric drill with bits, 8 screws, a saw, a hammer, “wood” pieces for building and more! There are also bins and jars for storage and a pretend shop vac. 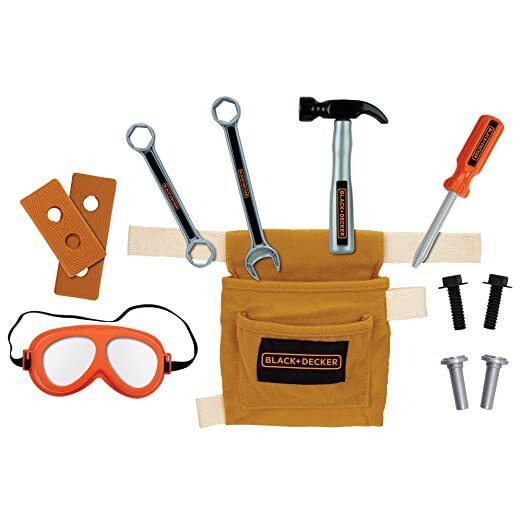 On Amazon.com you can now buy this Black and Decker Junior Tool Belt Set for just $7.70 (best price)! This 11 piece set comes with everything your little builder needs including a hammer, screwdriver, wrench, safety goggles, tool belt and more! This set is best for ages 3+. 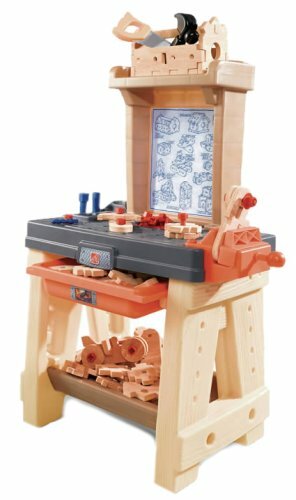 On Walmart.com where you can now get this Kid Connection 37-Piece Work Bench Play Set for just $8.99 (regularly $19.97)!